CATS Special Transportation Service (STS) provides door to door transportation for individuals with disabilities as certified as eligible according to the Americans with Disabilities Act (ADA). Customers using a STS Ticket or a STS monthly pass must be certified as eligible to ride STS according to the Americans with Disabilities Act (ADA). Each ticket is valid for one ride in one direction onboard CATS Special Transportation Service (STS). 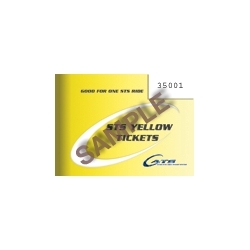 Ticket cannot be used on CATS local, neighborhood, express, express plus bus service or the LYNX Blue Line. Customers using a STS Yellow Ticket must be certified as eligible to ride STS according to the Americans with Disabilities Act (ADA). 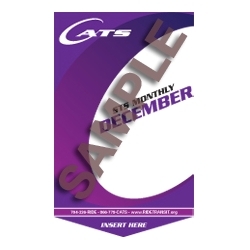 When riding a CATS STS vehicle, the ticket must be given to the operator. Pass is valid from the first day to the last day of the calendar month printed on the front of the pass. Pass is valid for unlimited rides on CATS STS Service, local and neighborhood bus service, express service and the LYNX Blue Line during the calendar month. Customers using a STS Monthly Pass must be certified as eligible to ride the service according to the Americans with Disabilities Act (ADA). When riding a CATS STS vehicle, the pass must be shown to the operator. When riding a CATS bus route, the pass must be swiped in the farebox upon boarding. When riding the LYNX Blue Line, the pass must be shown to a CATS Fare Inspector upon request. Failure to possess a valid ticket or pass could result in a citation of $50 and you may face a class 3 misdemeanor charge.